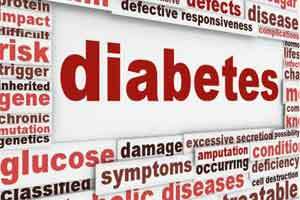 Diabetes is a complex, chronic illness requiring continuous medical care with multifactorial risk-reduction strategies beyond glycemic control. Ongoing patient self-management education and support are critical to preventing acute complications and reducing the risk of long-term complications. Significant evidence exists that supports a range of interventions to`improve diabetes outcomes. The American Diabetes Association’s (ADA’s) “Standards of Medical Care in Diabetes-2016” intends to provide clinicians, patients, researchers, payers, and other interested individuals with the components of diabetes care. A patient-centred communication style that incorporates patient preferences, assesses literacy and numeracy, and addresses cultural barriers to care should be used. Treatment decisions should be timely and based on evidence-based guidelines that are tailored to individual patient preferences, prognoses, and co morbidities. Care should be aligned with components of the Chronic Care Model to ensure productive interactions between a prepared proactive practice team and an informed activated patient. Providers should evaluate hyperglycaemia and hypoglycaemia in the context of food insecurity and propose solutions accordingly. Providers should recognize that homelessness, poor literacy, and poor numeracy often occur with food insecurity, and appropriate resources should be made available for patients with diabetes. Intensive glucose control is not advised for the improvement of poor cognitive function in hyperglycaemic individuals with type 2 diabetes. In individuals with poor cognitive function or severe hypoglycaemia, glycemic therapy should be tailored to avoid significant hypoglycaemia. In individuals with diabetes at high cardiovascular risk, the cardiovascular benefits of statin therapy outweigh the risk of cognitive dysfunction. If a second-generation anti psychotic medication is prescribed, changes in weight, glycemic control, and cholesterol levels should be carefully monitored and the treatment regimen should be reassessed.